I initially purchased the wrap to whip me back into shape after giving birth to my son. I had an unexpected c-section and could not use the wrap immediately. I ended up using wrapping stomach after birth(months later) for back support. My baby is pretty chunky and has been putting a killing on my back. I come in from work, strap this on and I'm ready to help my little guy burn energy! This product is so great because it has versatility with all the adjustments it has. 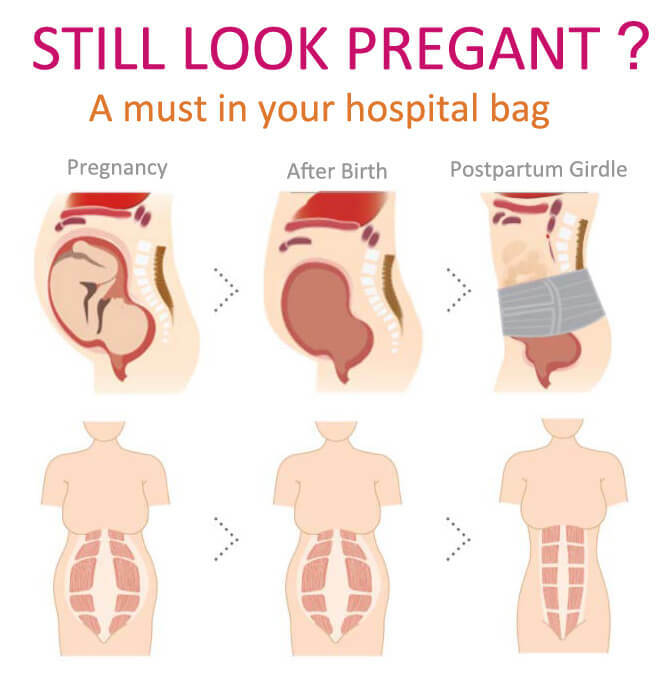 You can make it tighter where you need it and looser where you need wrapping stomach after birth which is so much more comfortable and much easier to put on by yourself than the traditional wrap. 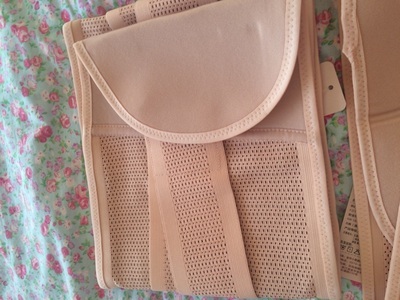 I am using it post surgery and I wish I had had it postpartum! 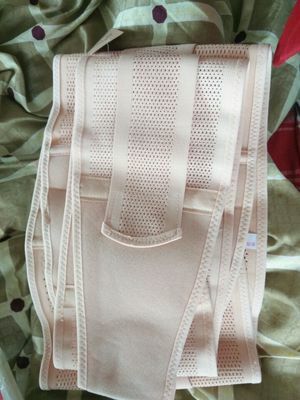 I have been happy with its ease of wear belly band after delivery. It does a good job holding you in. It is not wimpy and is constructed well. My neighbor recently gave a birth, and I will give her a gift to congratulate her. so I bought this belt wrapping stomach after birth. I think she will need it. 4 days postpartum and I already have people telling me that they would not have known that I was pregnant! I feel and look great! Gives fantastic and comfortable support and is well made. Glad that I went with the xs. Fits perfectly on my petite 5 2" body! I'm 6 weeks postpartum and these waist wraps are really helpful. Not only do they tighten everything, they also provide much needed back support. It does take a while to get used to wrapping stomach after birth, I like that there are 3 separate pieces allowing me to mix and match them. The velcro is strong and it doesn't come off once it's on. I contacted customer service with a quick question and I’m so glad I did! The representative I spoke with, Mily, was outstanding. She double checked that I had ordered the right size and offered me tips on the easiest way to get into the corset as well as the tighty wifey tank. You can tell they really cares about their customers! This was recommended by my midwife. It was a little tight to begin with, but within a couple days fit just fine. I bought the XL (I weighed 225 on delivery day). I found this to make the postpartum time more comfortable as I didn't experience the "empty" feeling in my midsection. I felt held together and wore this 24/7. My only complaint is the Velcro doesn't hold up well after a couple weeks of using postpartum wrap for stomach and hips, but this was cheap enough that I'm not too worried about it. I noticed it helped flatten my belly and I was in my pre-pregnancy clothes in no time. I recommend it for these reasons! I agree with most of the reviewers that this after delivery tummy belt is a very good purchase considering the price and quiality. I ordered a size M and it was tight but i like I still have room to tighten up. 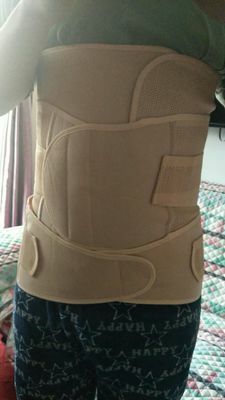 I've been wearing it for 5 days and havealready seen a difference. The downside is it has a strong odor at first but it goes away later. And if you have a long torso, it might be a little short for you. None of those bothers me so I still gives 5 stars. For reference, I'm 5'6 and was about 110 lb pre-pregnant and after the baby I was 125 lb. Love the quality as good as the one I brought before with triple price in USA! Will recommend this after delivery tummy belt to my friends! 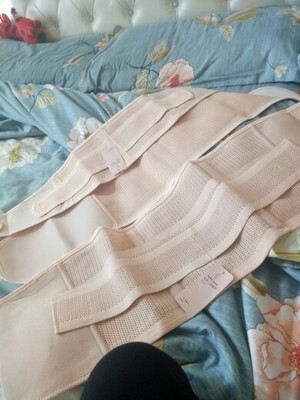 I bought this belly band a few weeks ago in hopes that this postpartum wrap for stomach and hips would making my recovery from 2 c-section smoother. So far so good. 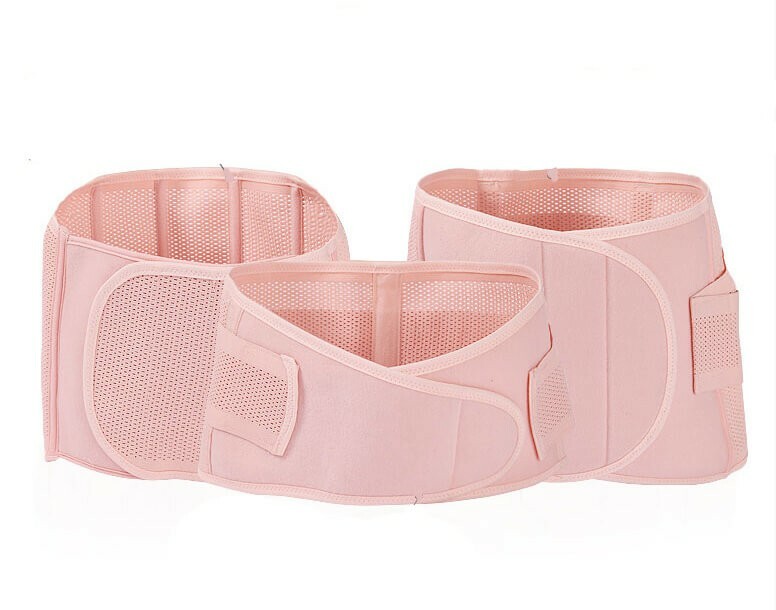 So great 3 In 1 postpartum belt. I love.